Are you looking for Tow Truck Insurance in Ohio, Kentucky, Michigan, or Indiana? If so you have found the right company! 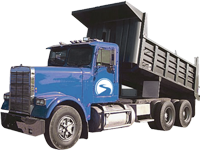 Pathway Insurance is a leading independent agency offering competitive commercial truck insurance programs for tow truck companies in Ohio, Kentucky, Michigan, and Indiana directly and by referral in the remaining 46 states. Call us at 1-800-998-0662 or submit your information online by clicking on: Ohio tow truck insurance. 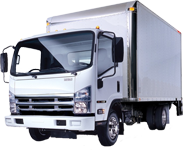 Ohio Tow Truck Insurance – Types of Trucks We Insure? We can provide tow truck insurance for any type of towing operation including car carriers, and heavy-duty tow trucks. Do you have prior losses for your towing operations or drivers with multiple tickets and accidents? We offer ultra-preferred rates for companies with a no claims in the last 3 years and great rates for companies with loss activity. Types of Coverage You May Need for Your Towing Business? 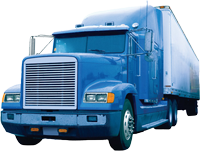 Physical Damage – This can include collision, comprehensive, or the specified causes of loss coverage form. Collision Coverage – Applies when your covered vehicle collides with another vehicle, object, or your vehicle overturns or rolls. Comprehensive Coverage – Pays for claims caused by fire, theft, vandalism, hail, collision with an animal such as a deer, glass breakage, flooding etc. Specified Causes of Loss – Limited form of comprehensive coverage, and covers only specific perils named in the policy. Tow Truck Liability Insurance – Liability coverage can include bodily injury, property damage, on hook coverage, garage keepers, and uninsured motorist coverage. Bodily injury Liability Insurance – In the event you are found legally responsible for injuries to other parties this coverage can provide benefits to other injured parties for pain and suffering, medical expenses, lost wages, rehabilitation, nursing care, and other damages. This coverage may be split limits or combined single limits for both bodily injury and property damage. Property Damage Insurance – Any type of damage you cause to another person or businesses property will be paid under this coverage form up to your policy limit. On-Hook Towing Insurance– owned vehicle due to collision, fire, theft, explosion or vandalism while said vehicle is being towed or hauled. Garage Keepers Legal Liability Insurance – Liability coverage to protect vehicles while parked, stored, or having some type of service performed at your covered location. Uninsured/Underinsured Motorist Insurance – Coverage to protect your drivers from injuries they sustain by means of uninsured or underinsured motorist. 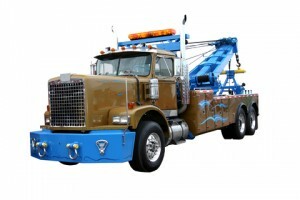 When Searching for Tow Truck Insurance in Ohio Call Our Company. Call 1-800-998-0662 when your company needs Ohio tow truck insurance for your business, or use our online quote submit system by clicking on Tow Truck Insurance Companies Ohio.